“Love is Like a Cocktail” is a cute couples comedy through 9 episodes – Nigorimasen! Chisato has a Jekyll-and-Hyde-style split personality: she is serious and wearing glasses when sober, she becomes playful and affectionate when drunk. 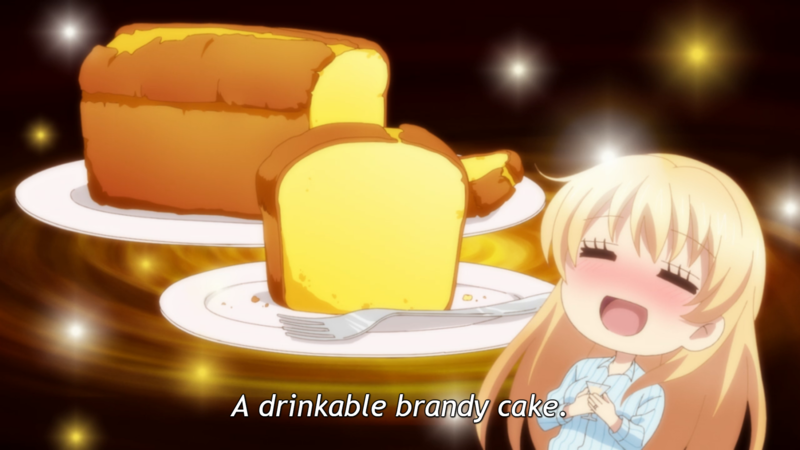 She also has a drinking bliss catchphrase – ‘shifuku~’ (しふく～) – similar to Wakako’s ‘pushuu~’ (ぷしゅ～) in Wakako-zake. Sora & Chisato aren’t the only couple in the series; Chisato’s co-worker Yui Shiraishi and her husband Masaki also make appearances in some episodes. 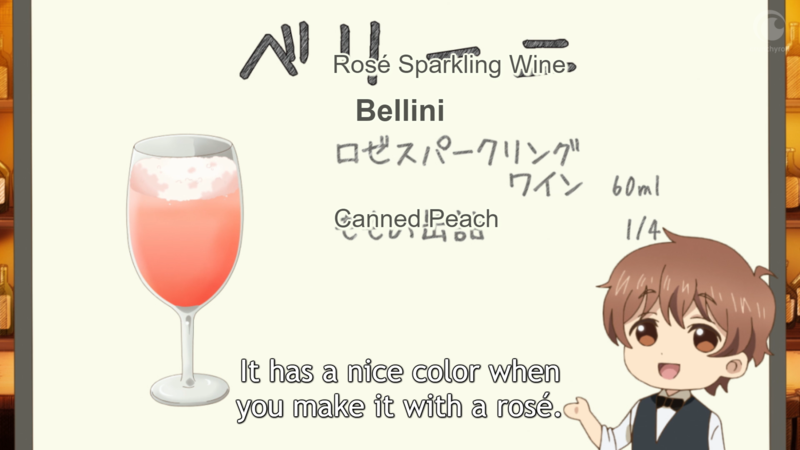 Recipes for each drink are shown during episodes, so viewers can try making their own Plum Splet or Bellini. (Emily made a video and wrote an article on her blog Yum! Penguin Snacks and for Crunchyroll about making a banana cocktail, a drink shown in episode 5.) The series has had many sweet relationship moments so far, such as Sora following Chisato’s no-alcohol request while she works on an important work presentation and Chisato trying to cook dinner when Sora falls ill. There are more food and drink anime series on the horizon: January is expected to have Takunomi., which is about four twenty-something women living in a share house and eating & drinking together; the snack-focused Dagashi Kashi returning for a second season with different production staff; and Ms. Koizumi loves ramen noodles with Studio Gokumi & AXsiZ handling animation production. Other series announced for 2018 are a Sunrise-produced adaptation of the Isekai Izakaya “Nobu” light novel series about a bar connected to another world and Rokuhōdō Yotsuiro Biyori, set at a Japanese-style tea house. Tagged Anime, Love is Like a Cocktail.